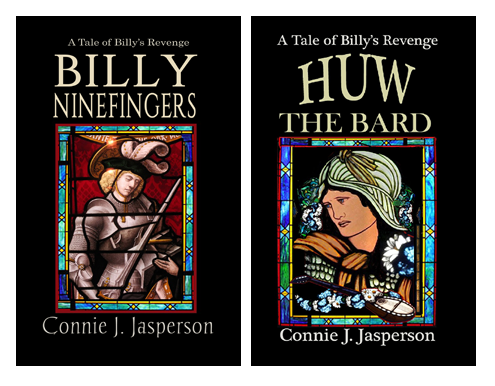 I am nearly at the end of the editing process on my new novel, Billy Ninefingers, a tale set in Huw the Bard’s world. When I am finished with the revisions, I will format my manuscript to be uploaded as both eBook and paper books. At that point, I will be looking for proof readers. This is where it gets sticky. At some point, I must draw the line and say this book is done. I want no more changes, no more fiddling with it. Thus, when the manuscript is as polished as I can possibly get it, I have one final step—the one that can either ruin a formatted manuscript or make it great: proofreading. Proofreading is done after the final revisions have been made, and hopefully it is done by someone who has not seen the manuscript before. That way, they will see it through new eyes, and the small things in your otherwise perfect manuscript will stand out. After the final edit, we go over our work with a fine-toothed comb, trying to proof it ourselves. We read it aloud, and we read it from the bottom up, but our eye sees what it expects to see. We catch many things, but we don’t catch it all. This is where the final person in the process comes in–the proofreader. In case you didn’t see it when I mentioned it above, I will say it again: proofreading is not editing. Editing is a process that I have discussed at length elsewhere, and is completed long before we get to the proofreading stage. At the outset, the proofreader must understand that no matter how tempting it may be, they have not been invited to edit the manuscript for content. That has already been done and done again. If they cannot refrain from asking for large revisions regarding your style and content, find another proofreader. Repeated words and cut-and-paste errors. These happen when making revisions, even by the most meticulous of authors, and the editor won’t see any errors you introduce after they have completed their work on the ms. These are insidious and difficult to spot, and spell-checker won’t find always them. Sometimes they seem like unusually garbled sentences. Each time you (or a well-meaning editor) tweak the phrasing or create a new passage in your already edited manuscript, you run the risk of creating another undetected error. 1. Ironing the life out of your manuscript and losing the feeling of spontaneity, making it feel contrived. 2. Putting up a manuscript that looks unedited because of the flaws that were introduced in the proofing process. Don’t allow someone else, even an editor, to make the changes for you. Editors are human and can inadvertently make mistakes—after all, the eye sees what the author thinks should be there. Any person who makes changes to the final product has the chance to inadvertently ruin it. When you write a lot of different short stories, you really get to explore all aspects of your creative mind. You never know what will fall out of your head, so you find yourself writing in a wide variety of genres, things you never thought you would find interesting. But they consume you, and you can’t stop writing. So now you have this wonderful backlog of short and novella-length stories to enter in contests and submit to various publications–but now you find that this contest wants general fiction, and this one is fantasy. And this one is sci-fi only! Dude–how do I know what tale to send to who? If your work is nonfiction, it’s no problem because your work is targeted to a magazine with a specific readership, so the sub-genre will be clear and where you should submit it was likely evident the day you decided to write it. Where this gets dicey is when you write short fiction with no specific contest or magazine in mind. When you sit down to write a short story with an open mind, random ideas flow, and because you are working within the limits of 3000 to 7000 words, your stories are creative and stretch you. But they will be widely different from your normal work, and will not always be in a genre you can easily identify. You have all this work, but no idea where to submit it. Mainstream (general) fiction–Mainstream fiction is a general term publishers and booksellers use to describe works that may appeal to the broadest range of readers and have some likelihood of commercial success. Mainstream authors often blend genre fiction practices with techniques considered unique to literary fiction. It will be both plot- and character-driven and may have a style of narrative that is not as lean as modern genre fiction but is not too stylistic either. The prose of the novel will at times delve into a more literary vein than genre fiction, but the story will be driven by the events and action that force the characters to grow. Science fiction–Wikipedia says: “Science Fiction is fiction dealing with imaginative content such as futuristic settings, futuristic science and technology, space travel, time travel, faster than light travel, parallel universes and extraterrestrial life.” BE WARNED: the internet is rife with purists and impurists in the sci-fi field, snobs and folks with their heads up their anachronisms. Anyway, if you use magic for any reason you are NOT writing any form of sci-fi. High fantasy–High fantasy is defined as fantasy fiction set in an alternative, fictional world, rather than the real, or “primary” world, with elves, fairies, dwarves, dragons, demons, magic or sorcery, wizards or magicians, constructed languages, quests, coming-of-age themes, and multi-volume narrative. Often the prose is more literary, and the primary plot is slowed by many side quests. Think William Morris and J.R.R. Tolkien. Epic Fantasy–These stories are often serious in tone and epic in scope, dealing with themes of grand struggle against supernatural, evil forces. Epic fantasy shares some typical characteristics of high fantasy includes fantastical elements such as elves, fairies, dwarves, dragons, demons, magic or sorcery, wizards or magicians, constructed languages, quests, coming-of-age themes, and multi-volume narratives. Tad Williams’s Memory Sorrow and Thorn is classic Epic Fantasy. One of the problems in the perception of what constitutes Literary Fiction is this: A book like Alexander Chee’s Queen of the Night is a historical fantasy–BUT it is the style and VOICE with which it is written that makes it a powerful literary work. The same goes for much of George Sanders work. The Tenth of December is technically scifi, but it is the style and voice that makes George Sanders literary. The same with Neil Gaiman’s lovely work on the book, Stardust, which is a lightning rod for the “that’s not literary–yes it is” debate. Now that you know what the genre of your story is, you can seek out magazines and contest looking for that sort of work. Choose carefully who you submit your work to, carefully follow their submission guidelines, and only submit the work you have that best fits what they publish. Never submit anything that is not your best work, and do not assume they will edit it because they won’t. And let’s be real–no one will even consider publishing work that is poorly written, sloppily formatted, and generally unreadable. Parts of Identifying Genre were first published here on Life in the Realm of Fantasy under the title, What did I just write? Labeling short fiction, by Connie J. Jasperson © 2015-2017 All Rights Reserved. How Do You Know If Your Novel Is Literary Or Mainstream Fiction? How Long Is A General Fiction Book? Posted on July 22, 2009 by Writer’s Relief Staff, accessed 11 June, 2017. I’m a member of several author groups who regularly meet in online chat-rooms to talk about the craft. Every member of these groups are published authors, some traditionally, and some Indie. Many are hybrid, with work both traditionally and Indie published. Much of what we discuss involves the problems we face in developing marketing strategies. While we all agree that only publishing work that is of the highest quality is of paramount importance, one thing is clear: the greatest hurdle Indie authors face is getting our work in front of readers’ eyes. Therefore, we write short stories and submit them to various anthologies, magazines, and contests. Those of us who write in less popular genres have fewer sales of our novels through Amazon and other eBook sales outlets, which makes it even more important for us to submit short stories to the many contests and publications that are out there, and who are open for submission. However, finding these contests and publications can be challenging, as often by the time I hear about them, the closing date is approaching which means I may not have time to get a rough piece into the right shape for submission. But even that is becoming less of a problem for me, because I have found an App for that. 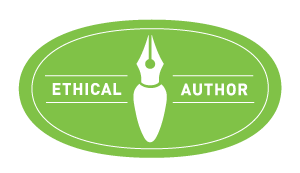 Many contests and publications use the Submittable platform to accept and review the large volume of manuscripts they received from writers. When a publisher uses this platform, it’s great for us as authors because we can use the app to keep track of what we have submitted, and where it currently is in the process. This is a screenshot of the PC app, but the phone app is just as easy to read. It is the responsibility of the contest manager or publication to notify Submittable as to the status of their entries and submissions, and while most do, some contests managers aren’t as diligent about that. I assume that if it has been more than year, they didn’t want that piece. When I first began this journey, I didn’t understand how specifically you should tailor your submissions when it comes to literary magazines, contests, and anthologies. Go to the publisher’s website and find out what their submission guidelines are and FOLLOW THEM. (Yes, they apply to EVERYONE, no matter how famous.) If you skip this step, you can wait up to a year to hear that your ms has been rejected, and they most likely won’t tell you why. I can’t stress this too strongly: only submit your best work. If you have a well-written piece that reads smoothly when read aloud and is rejected for whatever reason, examine it once more with a critical eye and then find a different magazine, contest, or anthology to submit it to. Chances are it simply didn’t resonate with the editor at that place, and who knows–it may be exactly what the next place is looking for. I like submitting my work to places that use Submittable, because when you can see where your work is in that process, you can better decide what to do with each manuscript. After all they have room for only so many pieces. This means that sometimes your good work is rejected in favor of another author’s good work. Sulking over a rejection doesn’t advance your career, so promptly put that manuscript back into circulation. When you have a great story that you believe in, you must find the venue that might be interested in your sort of work. This means you must buy magazines, read them, and write to those standards. The important thing is to write and write and write. When you are stumped for ideas on a longer piece, writing a short story often fills the gap and keeps you writing. Write that short story, then set it aside for future use. Build a backlog of flash-fiction. You never know when you’ll need a piece for an anthology or magazine. The last stage of getting a manuscript ready for publication is critical. This is where the final person in the process comes in–the proofreader. Perhaps you have volunteered to proofread a friend’s book. The friend arrives with the proof copy (or maybe you have been sent a manuscript). They ask you to look for typos, cut-and-paste-errors, or autocorrect errors. These are things they and their editor may have missed. Editing is a process that I have discussed at length elsewhere and is completed long before we get to the proofreading stage. A good proofreader will understand that the author has already been through the editing gauntlet with that book and is satisfied with it in its current form. A proofreader will not try to hijack the process and derail an author’s launch date by nitpicking his/her genre, style and phrasing. At this point, the author and his/her editor have considered the age level of the intended audience, so if you feel their work is too dumbed down or poorly conceived and you can’t stomach it, simply hand the manuscript back and tell them you are unable to do it after all. DON’T go through it with a red pen and mark it up with editorial comments, or critique their voice and content because it will be a waste of time for you and the author. Even though an editor has combed your manuscript and you have made thousands of corrections, both large and small, there may be places where the reader’s eye will stop. Words have been left out, punctuation is missing–any number of small, hard-to-detect things can occur despite the most thorough of edits. The problem that frequently rears its head among the Indie community occurs when an author who writes in one genre agrees to proofread the finished product of an author who writes in a different genre. People who write sci-fi or mystery often don’t understand or enjoy paranormal romances, epic fantasy, or YA fantasy. Spelling—misspelled words, autocorrect errors, and homophones (words that sound the same but are spelled differently). These words are insidious because they are real words and don’t immediately stand out as being out of place. A human eye is critical for this.